I used to write almost every day. I always started by putting the date at the top of a page before proceeding to scribble down whatever was on my mind, mostly mundane details of daily life and/or updates on my emotional state. 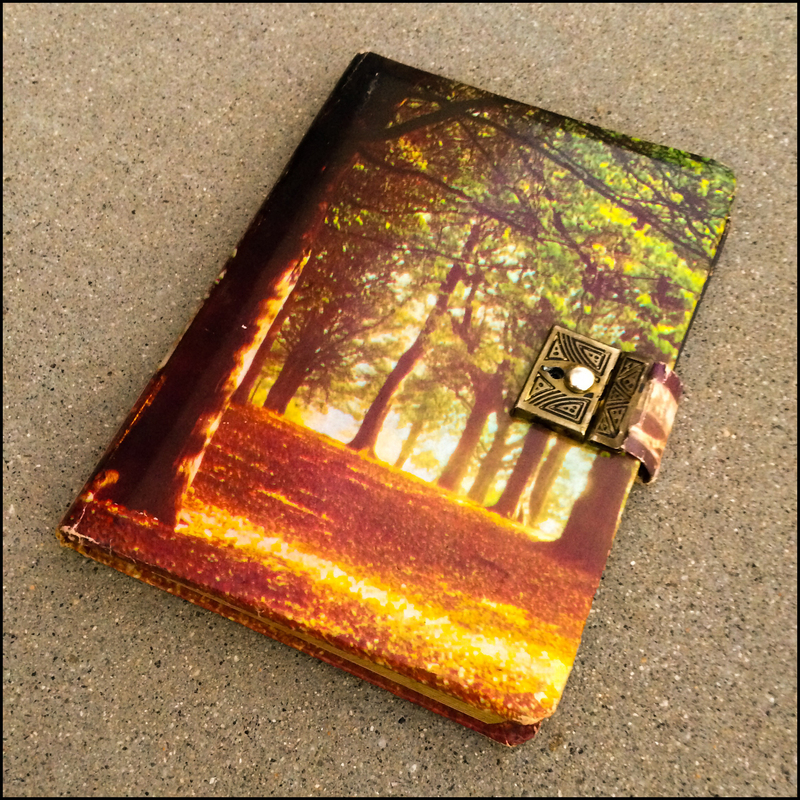 I wrote in my journal to share secrets and express worries that I didn’t want to tell anyone else. I have a crate filled with these old journals. The oldest one dates back to the early 1970s when I purchased my first lock and key diary. I soon switched to notebook paper collected in a plain brown 4” binder. Over the years, I graduated to spiral notebooks, and I have purchased many beautiful journals over the years. I still go through phases when I write daily, but it’s easy to let excuses such as a lack of time get in the way. I can’t use excuses when I am with my San Diego Area Writing Project’s (SDAWP) colleagues as I was on Saturday morning for our first book study group gathering of the school year. The meeting began with a few introductory words from Director Kim Douillard before Co-director Christine Kane challenged us with several quick write prompts. Christine shared a variety of quirky images and unique texts to spark our creativity. In addition, she asked us to think about what worked and what didn’t work for us as writers. I had come prepared. I had my iPad mini in my bag, and I had also brought along a new college-ruled spiral—just in case. For the activity, I quickly decided to use the spiral notebook. I knew that I would be able to write more words in a limited amount of time with pen and paper. After each round of two prompts, we shared our writing in triads. It didn’t come as a surprise that I enjoyed the photo prompts best, and I even produced some ideas that I might return to and develop later. After the whole group meeting concluded, we met in smaller clusters based on the books we had previously chosen to study. 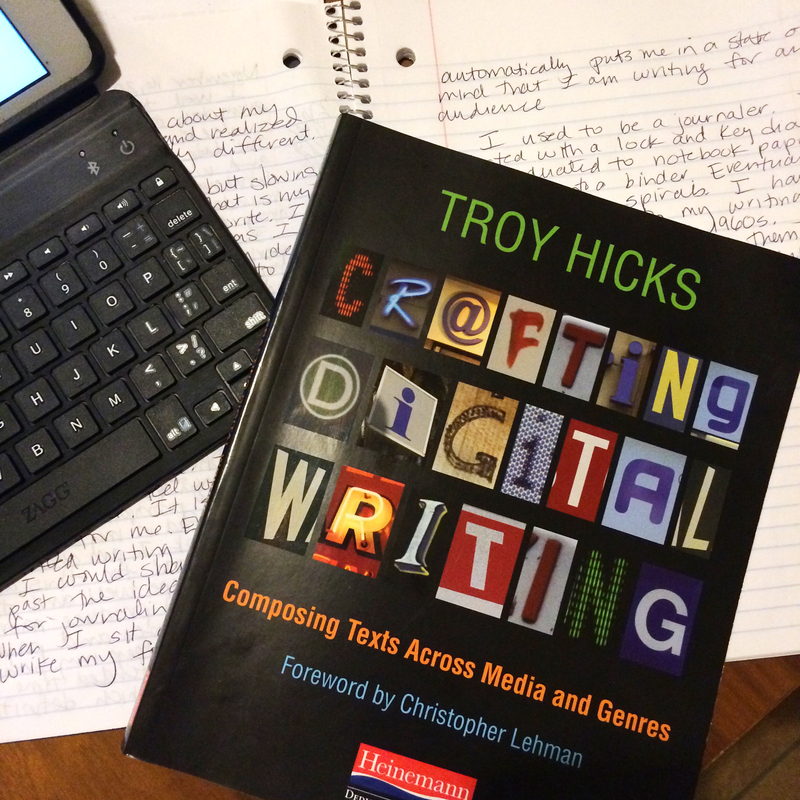 I had selected Crafting Digital Writing by Troy Hicks and was pleased to sit down with twelve amazing educators each of whom, regardless of prior digital writing experience, shared a passion for teaching writing. The diversity in our group led to an engaging conversation as we mapped out our plans for reading and sharing over the next few months. On the drive back to Vista, I reflected on the discussion about digital writing and thought about the choice I had made that morning to use pen and paper rather than my iPad for the timed writing exercises. 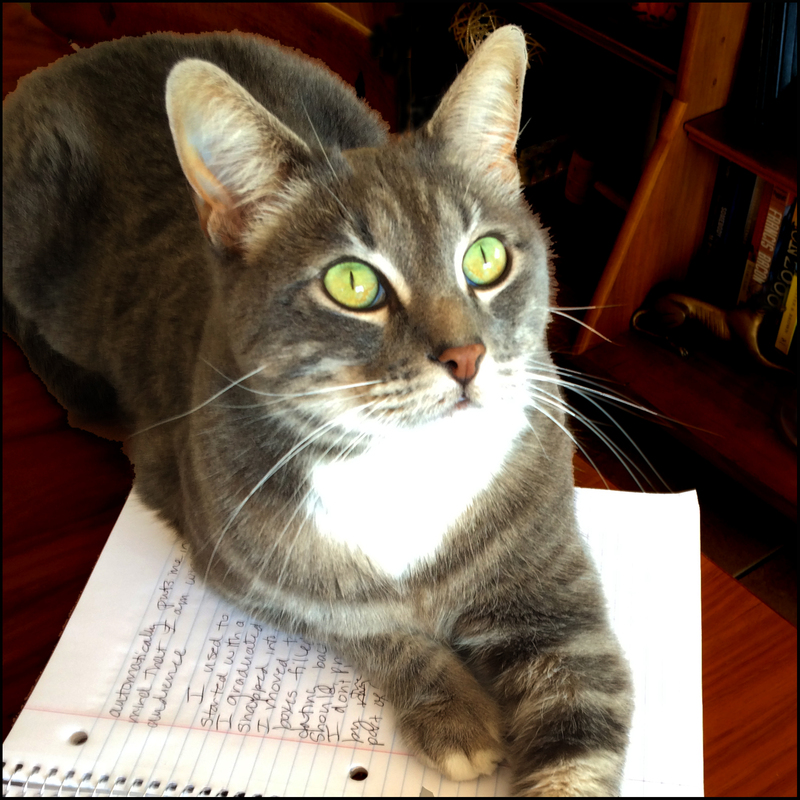 When I arrived at home, I decided to experiment by attempting to compose a blog post in my spiral notebook. I even thought that I would photograph the page and use my handwritten work as my actual entry as a way to blur the lines between digital writing and writing by hand. But as I took pen to paper something unexpected happened. Even though I set out to write something for my blog, the writing I produced wasn’t the type of writing that I would ever consider posting. It was stream of consciousness journal-type writing much like the writing I have collected through the years in my old notebooks. It’s hard to believe, but for the first time, I truly understood that, for me, the experience of writing by hand differs significantly from writing in a word processing program. For years, I used notebooks as private spaces for expressing my ideas and nothing more. When writing on my laptop, I have always started with the audience and purpose in mind. When I have written in my journal, I haven’t worried about making sense to anyone other than me. When I have opened up a notebook, I have written without knowing where the next word may lead. My type written pieces have had a logical sequence with solid transitions, but they have often lacked the creative free-flowing energy of my journal writing. I am looking forward to learning new ways to use digital tools with students as I explore Crafting Digital Writing with the study group. However, there is still something to be said for the personal heart-felt delight of penning words on a fresh piece of lined notebook paper. As an educator, I know the value of having students write for an authentic audience, but I never want to forget that sometimes a journal with an audience of one can still provide the best reasons to write. This entry was posted in Education, Living, Teaching, Writing and tagged #writing. Bookmark the permalink. Love your thought about how pen and paper are different from digital writing. I wonder about the differences for our students…and those who find handwriting hard… And what about platform? Lots more to think about for me. Thanks for the provocation!